Mouthfeel: Crunchy. it tases better when you eat a few seeds at one time. Choosing: Sunflower seeds are sold either shelled or unshelled and are generally available in prepackaged containers as well as bulk bins. 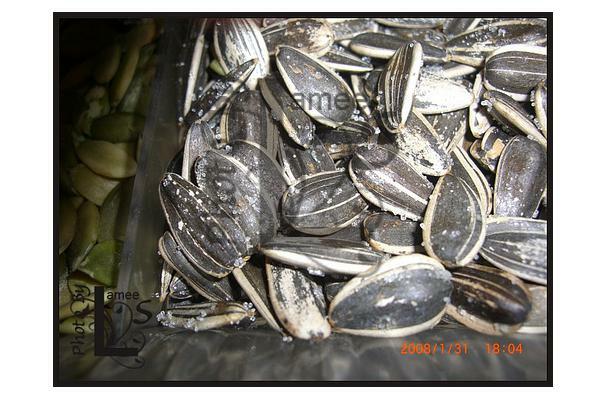 Just as with any other food that you may purchase in the bulk section, make sure that the bins containing the sunflower seeds are covered and that the store has a good product turnover so as to ensure the seeds' maximal freshness. Buying: You can buy sunflowers seed at you nearest grocery store. Can Microwave in oven in microwave safe dish at 3 minute intervals by keep mixing for about 10 minutes. Cleaning: Rinse in cold water before toasting raw sun flower seeds. History: While sunflowers are thought to have originated in Mexico and Peru, they are one of the first plants to ever be cultivated in the United States. They have been used for more than 5,000 years by the Native Americans, who not only used the seeds as a food and an oil source, but also used the flowers, roots and stems for varied purposes including as a dye pigment. The Spanish explorers brought sunflowers back to Europe, and after being first grown in Spain, they were subsequently introduced to other neighboring countries. Currently, sunflower oil is one of the most popular oils in the world. Today, the leading commercial producers of sunflower seeds include the Russian Federation, Peru, Argentina, Spain, France and China.